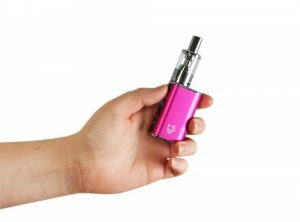 Arc Mini is a simple, fuss free starter kit device which uses the highly regarded CS atomiser heads. The Arc Mini can be adjusted from 8 – 20W or 3.3 – 5V, allowing the user to customise their experience with the kit. The CS micro tank is simple to use and bottom filled with fixed airflow, further simplifying the device. The choice between variable voltage and variable wattage gives customers the ability to fine tune their e-cigarette and vapour production to suit them. 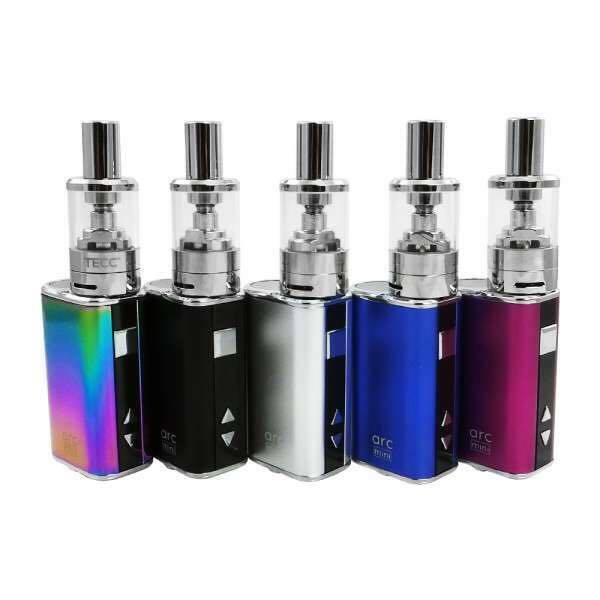 The CS Micro tank uses the popular CS atomiser heads which are tailored to new users. With bottom filling and easy atomiser head changes this kit is a stalwart of the TECC arc range. Output wattage – 8 – 20W. I was a smoker of 12 years before coming into ecigs-scotland to try and stop. I had cut down to only 10 cigarettes a day and wanted something small and compact to take to work with me. I was recommended the Arc Mini and have now been smoke free for 3 months. Even the smell of a cigarette now puts me off. Fantastic little kit! Great little device, perfect size for a night out.